I found a recipe for a buttery, flaky, blueberry coffee cake a few years ago in my Cook's Country magazine.... quite a few years ago actually. We always have a lot of blueberries in our freezer since my husband's aunt owns a grove of blueberries trees and we go blueberry picking a few times each summer. This is by far our favorite recipe for using up any of our blueberries. Over the years we've made a few changes to the original recipe; adding more blueberries, adding a touch more cinnamon. The kind of touches that make it our own.... but since we just fell in love with the name we've kept it! 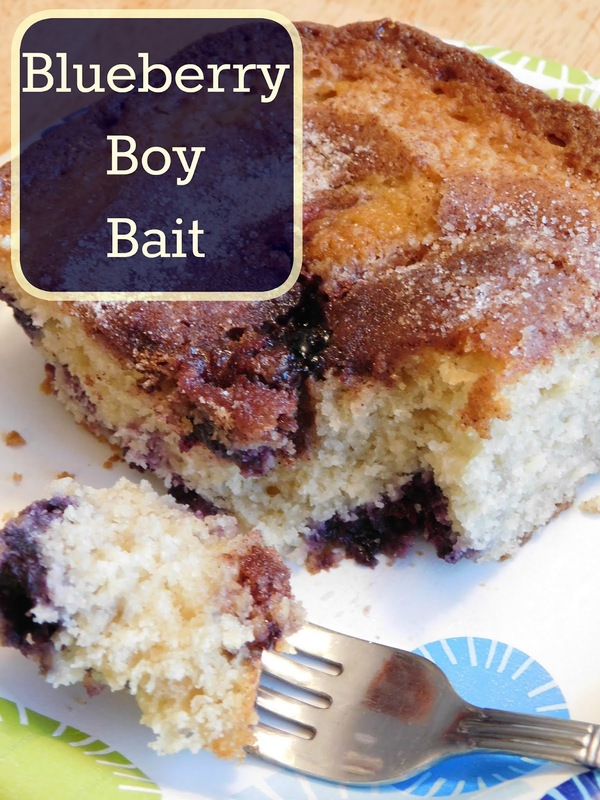 Here is our recipe for Blueberry Boy Bait and I'm pretty sure if I hadn't already been married at the time it definitely would have hooked my husband! After all the way to a man's heart is through his stomach, right?! Grease and flour a 13 x 9 pan and preheat oven to 350. With electric mixer beat butter and sugars on medium speed until combined. Add eggs in, one at a time until just incorporated then reduce speed to medium and add in 1/3 of the flour mixture. Follow that with 1/2 of the milk, the next 1/3 of the four mixture, the last of the milk, and then end with the flour mixture. 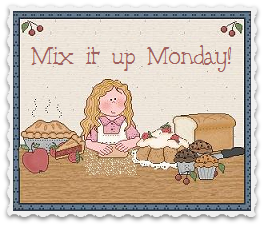 Once everything is mixed together turn off the mixer. Toss blueberries with the tsp of flour until evenly coated and then fold blueberries into the batter using a rubber spatula. Spread batter into prepared pan. Sprinkle with 1 cup blueberries. In a small bowl combine sugar and cinnamon then sprinkle over the batter. Bake for 45-50 minutes or until a toothpick inserted into the center comes out clean. Everything crisps right up! The cake is so flaky and moist too. Let it cool in the pan for 20 minutes before serving. Cake can be stored in an air tight container at room temperature for up to 3 days. In our house it never lasts that long! 1. Grease and flour a 13 x 9 pan and preheat oven to 350. 3. With electric mixer beat butter and sugars on medium speed until combined. Add eggs in, one at a time until just incorporated then reduce speed to medium and add in 1/3 of the flour mixture. Follow that with 1/2 of the milk, the next 1/3 of the four mixture, the last of the milk, and then end with the flour mixture. Once everything is mixed together turn off the mixer. 4. Toss blueberries with the tsp of flour until evenly coated and then fold blueberries into the batter using a rubber spatula. Spread batter into prepared pan. 5. Sprinkle with 1 cup blueberries. In a small bowl combine sugar and cinnamon then sprinkle over the batter. Bake for 45-50 minutes or until a toothpick inserted into the center comes out clean. Let it cool in the pan for 20 minutes before serving. Cake can be stored in an air tight container at room temperature for up to 3 days. Serves 12. YUM! We often have blueberries in the freezer too that I've frozen from our local summer farmers markets. This looks scrumptious!!! Wow!! That is an anybody bait - looks totally delicious! 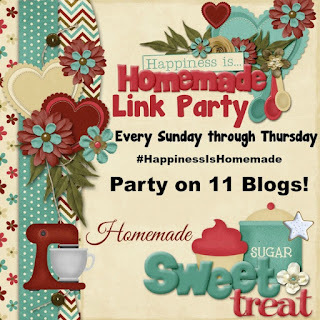 Would love it if you shared on our What's for Dinner Sunday link up! Thanks, and sure I'd love to share it at your linky party. So, I'll try to alter the recipes to my own diet and I'll try it with blackberries as that's what's in my freezer, and we'll see if I find a husband!!! This is definitely my kind of cake - the only problem is that I would want to hide it so I could eat it all myself! Magali's comment about made me laugh! It is hard not to scarf it all up myself! Luckily it makes a whole 13x9 pan; one loaf or a small 8x8 dish and I probably would be the only one eating it. Oh, yum! We have a few farms that open up pick-your-own blueberries in the spring, but the last couple years, it's just been too pricey. It would be so cool to have such easy access to some like you do! We actually didn't get any blueberries this year; we had an outbreak of moths that ate everything right off the tree-- leaves and all! We work hard for those free blueberries though; we do most of the yard maintenance for my husband aunt and spent a lot of time grooming those trees two years ago. Not that we mind! We'll happily take all the free blueberries we can eat. This looks so amazing! I love this recipe :) I would also love to have relatives offering fresh blueberries! Thanks for sharing! This looks delicious! Pinning for blueberry picking time! All I can say is, Lordy help me! I love this. Thank you for sharing at #OverTheMoon! LOL! So glad you loved it. It was one of those recipes that we just fell in love with at first bite! You had me at blueberries! Now I am going to follow you! Oh my goodness, sure wish I had a slice of this awesome Blueberry Boy Bait, yum! 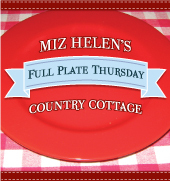 Happy to see you here at Full Plate Thursday and thanks so much for sharing with us. It is so good! I was actually thinking of making up a batch just yesterday. It sounds amazing. I love the name too. 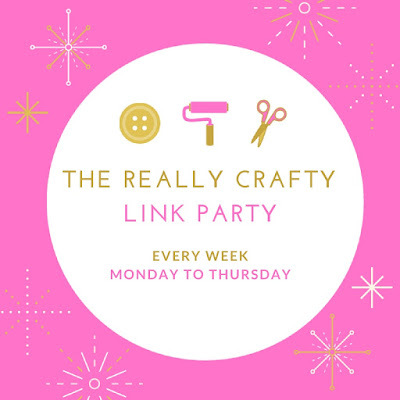 Thank you for sharing the recipe at The Really Crafty Link Party this week. Pinned!